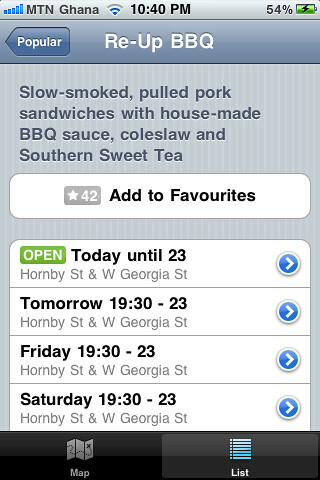 Last summer the City of Vancouver expanded its street food program to include over a dozen new mobile dining options. 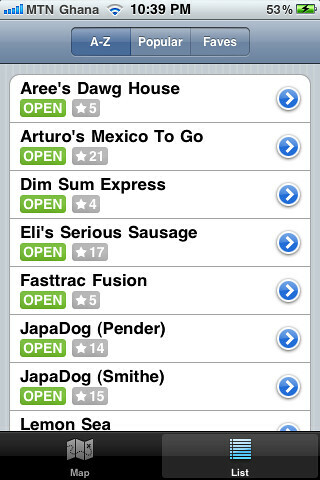 After a public survey and an application process, 19 new street food options (with a heavy lean on tacos) have been announced. Type: Korean fusion; beef, pork, tofu Korean tacos. 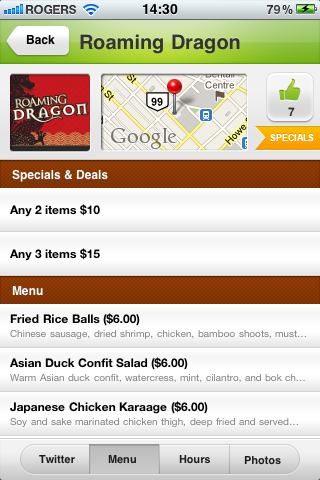 Location: South side, 1200 Pacific Blvd. 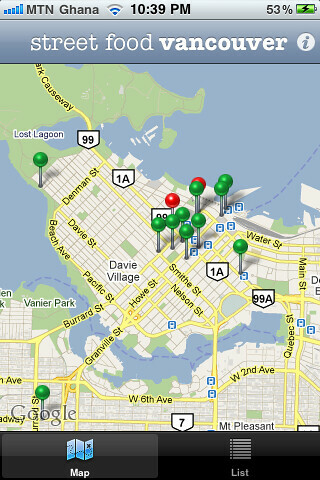 In addition to the Google Map (above) that has been put together you can also choose from two apps for finding the best and nearest street food cart in Vancouver. 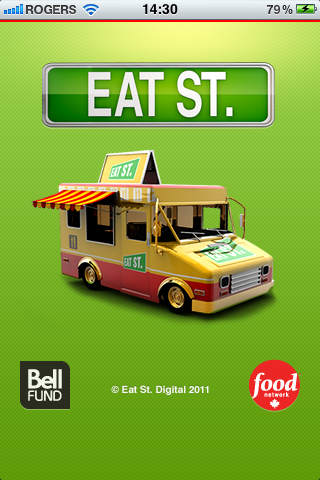 And the Eat Street app that has launched along with the new Food Network Canada show, Eat St., that was developed locally by Invoke Media (who brought us HootSuite, among other things). 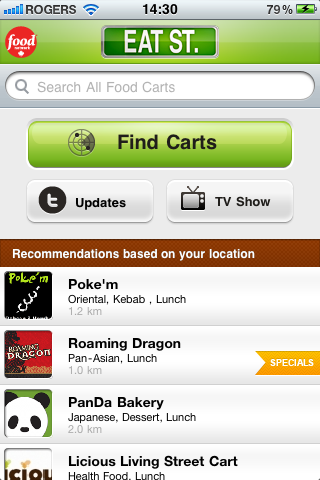 The app will work hand-in-hand with the show to highlight the country’s best food carts. 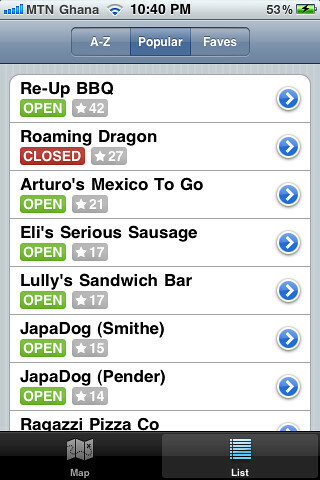 With the new line-up (on top of hotdog, Japadog, and other vendors already on the menu) it will be a good time to try something new this summer. Grab a taco, whether it be fish, pork, Korean or Mexican, and sit in the sunshine on the Art Gallery steps or watch the ships sway back and forth in English Bay. 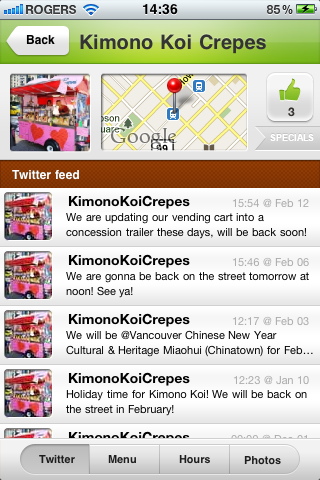 Rebecca, thanks for your article about Vancouver’s growing street-food program, and for pointing out the apps. I love the idea of street food in a big active city, and although I’m not around as much as I’d like, I would like to try some of these out the next time I’m in town.